Mohd Raduan Man is a Malaysian visual artist who was born in 1978. To this young artist the production of his artworks are dynamic movements that possess strong statements that must be conveyed to his audience. He hopes that his artworks are substantiated enough to be included in future dialogues on visual art. Raduan’s paintings stand out for their movement. His techniques are undeniably flawless. He dabbles in various art techniques including printing onto large canvases using wood as his blocks, the end result is truly unique. Woodcarving is the technique of engraving lines that are defined, and this enables Raduan to assess an object in its elemental and basic form, and it thus depicts elemental strength. 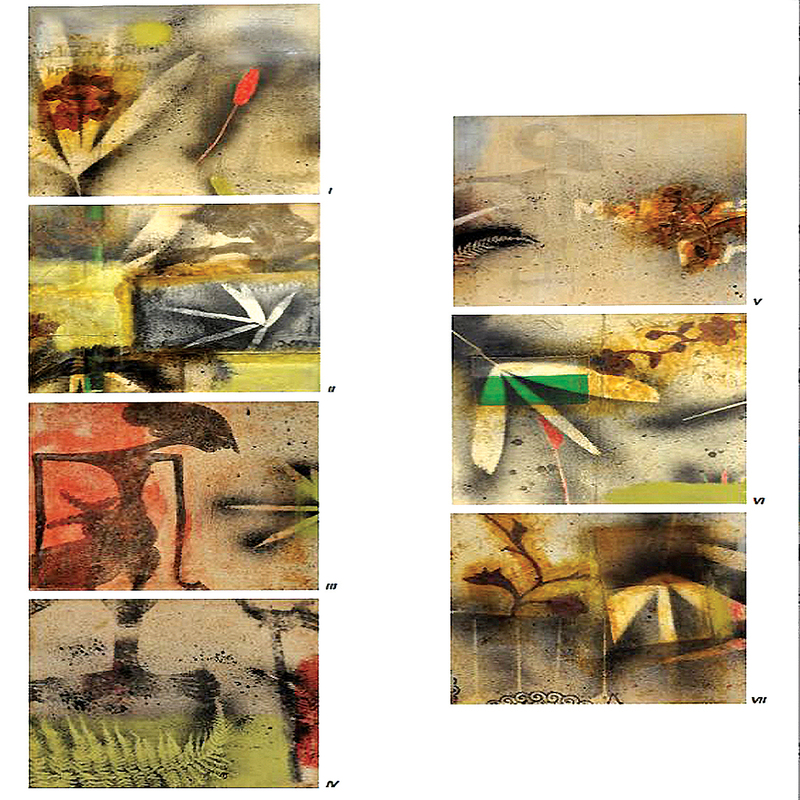 Inspired by the wayang kulit, this artwork comprises seven separate pieces that unfolds a story told through Raduan Man’s eyes, through his chosen medium.